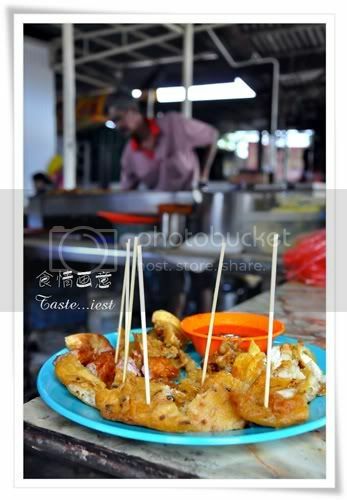 Pengkalan Weld Road has a few old stall that sell Penang famous street food and also tourist attraction such as Chew, Lim and Tan Jetty Walkway where lot of people take wedding photo there, it really nice scene for photographing. Right opposite the Jetty Walkway operated in afternoon is Curry Mee and Aiyupin. Curry Mee, spicy and milky curry soup served with pork blood, dried tofu, cuttlefish and mint leave. Curry soup has strong coconut milk flavor and the addition sambal give the flavor a strong boost. 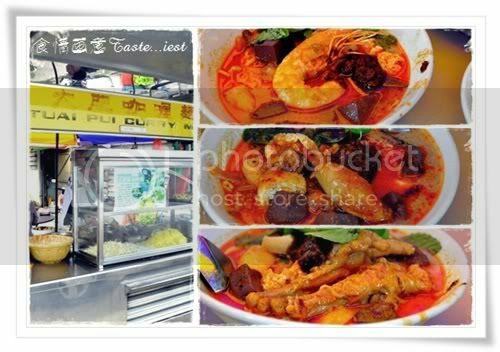 Few different type of ingredient to be add on, Chicken Feet Curry Mee RM3.80, Prawn Curry Mee RM7.50 and Squid Curry Mee RM4.80. 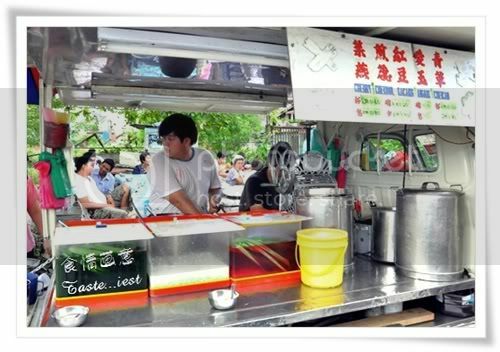 Beside the Curry Mee is Dessert stall but unfortunately they not sharing table, which mean you can’t eat Curry Mee and Dessert at the same table. We decided to stand and eat like a tourist, Aiyu Jelly RM1.40 each, served with one slice of lemon, it taste sour and sweet, very refreshing! On the left screen is Aiyu while on the right is the ready to serve dessert. 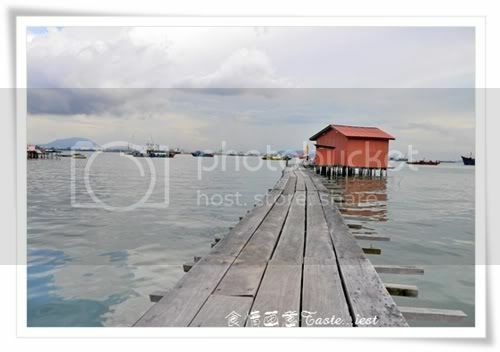 Back to the Jetty walkway here got one famous Prawn Fritters and Lobak, what make their Prawn Fritters awesome is their chili paste. It has very sour and little bit spicy taste, Prawn Fritters dip into the sauce is extremely delicious. 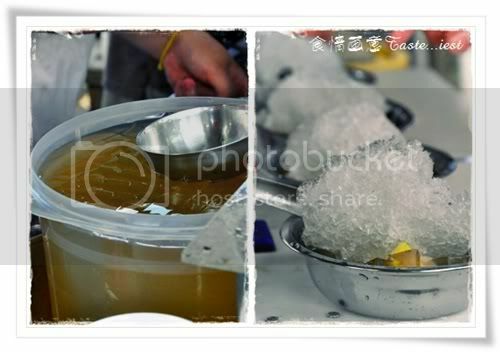 During our visit, the boss even ask us to eat yellow noodle raw with the chili paste, we all are reluctant to try but the boss manage to convince us which really surprise us by how good the taste is and the great combination form. You can join our Facebook fanpage to keep yourself updated on all the latest from Taste..